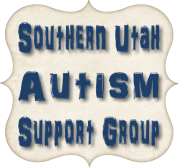 Southern Utah Autism Support Group is a Limited Liability Company run by parent and professional volunteers providing support and resources to help and strengthen families of persons with autism spectrum disorders and related conditions, like fragile X syndrome, down syndrome, ADHD, genetic disorders, etc. With a focus on providing support and resources to families of individuals with behavioral needs. Our board consists of individuals with ASD, parents & loved ones of individuals with ASD and professionals providing services to families of individuals with autism spectrum disorders and related conditions. 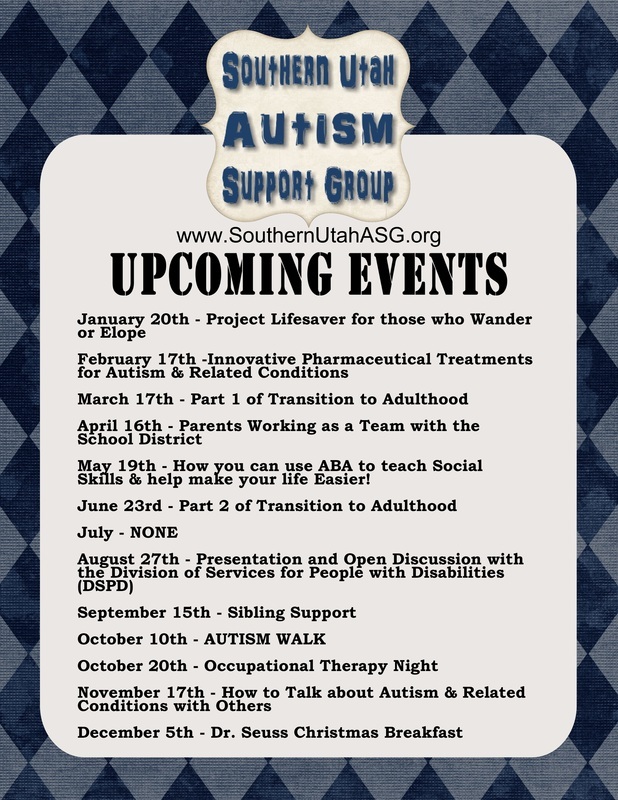 Be sure to check out our Facebook page and website to stay up to date on the great educational and support events that we provide all year long.